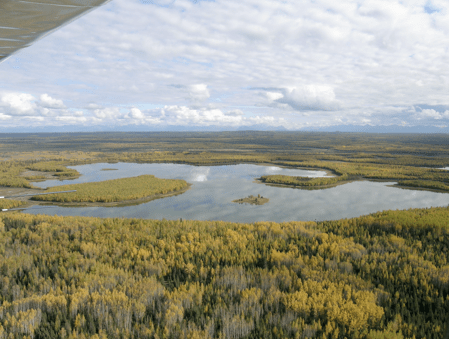 What: We propose to investigate Holocene high lake stands in closed basin lakes of Alaska’s Kenai Peninsula. Preliminary dating of these relative high stands suggests an early to mid-Holocene age. This proxy for increased precipitation can serve as a test to hypotheses concerning the relative roles of the tropics and higher latitudes in moisture budgets across western North America and ultimately serve to predict moisture variability with a warming climate. Understanding the impact of climate on the hydrologic cycle is a key concern of research in western North America. Despite a suite of recent research efforts, outstanding questions remain regarding the causes and mechanisms of North Pacific climate variability. One key uncertainty concerns the nature of decadal to longer-term fluctuations of the North Pacific climate system (e.g. climatic regime shifts, Pacific Decadal Oscillation) with respect to moisture variability over the Holocene. Another uncertainty concerns the relative role of external and internally-forced factors in causing such variability over western North America and their link to tropical climate change. Because the length of instrumental record for the North Pacific is insufficient for addressing such issues, longer proxy records are needed for analysis. Hypotheses: There are robust linkages between decadal and longer-term western North Pacific and tropical climate with regard to regime shifts and other features, reflecting coupled atmosphere-ocean modes of variability related to the El Niño-Southern Oscillation or ENSO. Furthermore, sustained intervals of high precipitation (and high lake levels) are linked to La Niña forcing from the tropical Pacific that channels storm tracks north at the expense of the America Southwest that experiences drought. This shift occurred during the Medieval Climate Anomaly (MCA) and can serve as a recent analog to contemporary shifts in storm tracks and provide a framework for earlier changes in moisture patterns. Tests of Hypotheses: Higher lake levels will be compared with intervals of known Abrupt Climate Change such as the Younger Dryas, the 8200-year and 4200-year events, times of glacier expansion and proposed changes in ENSO during the middle Holocene. Stine (1984) has long been a proponent of the “dry-winter-in-California, wet-winter-in-Alaska” mode of climate variability, based on his work on the aberrant drying of the American West during the MCA. Recent modeling (Seager et al., 2005) suggests a strong tropical control for this pattern. 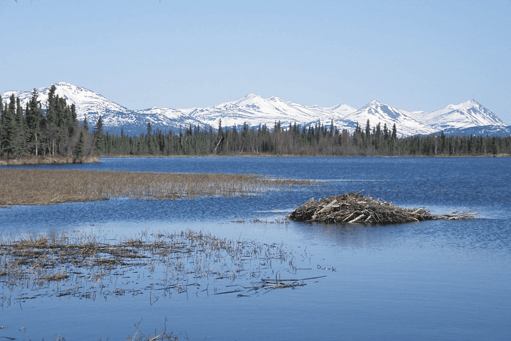 The Kenai Lowland work placed into a western North American context will provide a basis to examine if these changes were similar or different with more recent spatial patterns of precipitation. This proposed three-student project will focus on mapping and dating wave-washed terraces and wave-cut scarps along 10-15 closed lake basins in the Kenai Lowland. The shoreline deposits are easily trenched and the sediments will be described and the organic material will be sampled for radiocarbon dating. Sediments include paleosols, beach deposits, peat and charcoal-rich sediments resulting from grass and forest fires. In addition to the mapping and sediment description, we will core satellite fens that are associated with the lake high water stands and occur within the paleobasins. Students should be prepared for working in variable weather and with biting insects. All participants will receive bear safety and firearms training. Students should have completed the junior year and have had at least one course in sedimentology/stratigraphy or geomorphology. Previous field experience in a field camp or field research setting is desirable. Courses in climate change, hydrogeology, hydrology and biology would be helpful. Stine, S., 1994, Extreme and persistent drought during Mediaeval times: Nature, 369, 546-549.